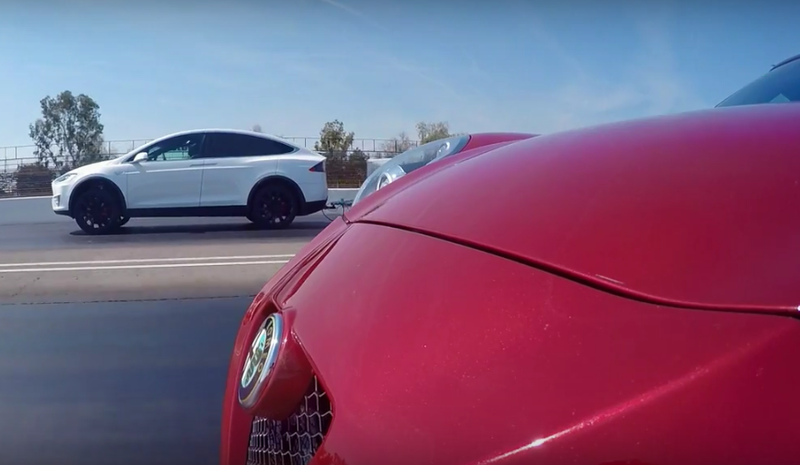 Motor Trend has just released a video comparing the Model X with Ludicrous mode's performance to two different class of petrol cars on the market: A Bentley Bentayga and an Alfa Romeo 4C Spider. The German-British crossover SUV Bentayga claims to be "the fastest, most luxurious, most exclusive SUV in its class", while the Alfa Romeo 4C Spider is said to easily beat a Lamborghini Diablo. Before diving into the details between the Bentayga and the Model X. 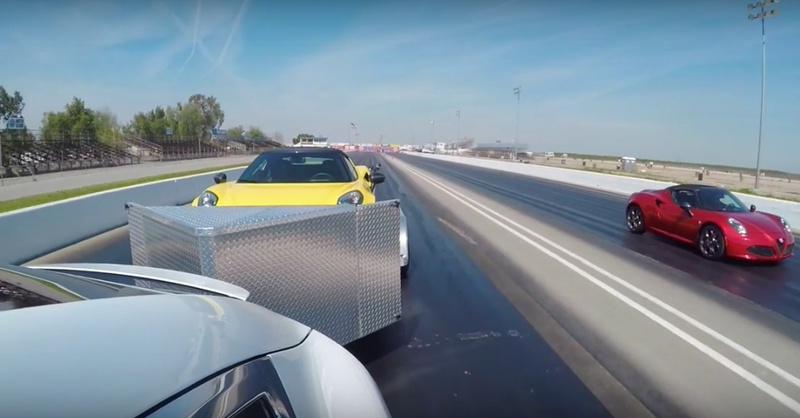 The Model X P90D was put to the test back in March to prove how fast this electric SUV is. 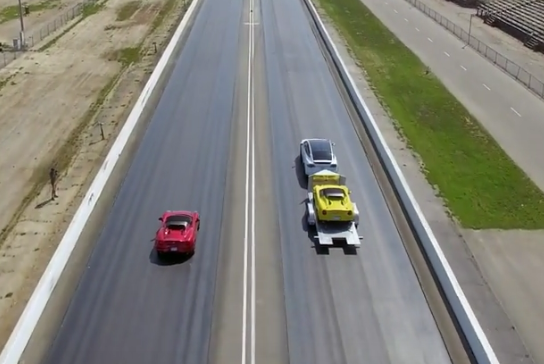 To do that they brought in two Alfa Romeo 4C Spiders, strapped a yellow one on a trailer behind the Model X and raced it against another one in red. 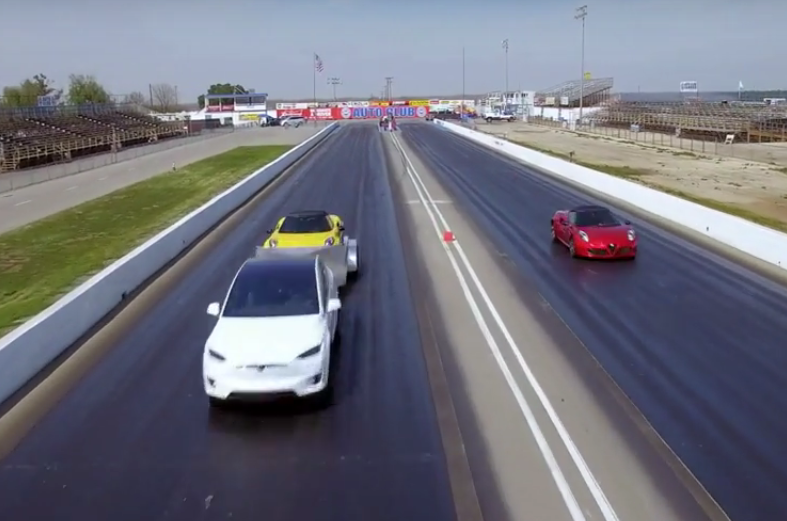 The Model X managed to come on top and the red Alfa Romeo ended up only beating its yellow counter part which was idling behind the trailer of the Model X. Moving on to the Bentley Bentayga which claims to be the fastest SUV, its 6L W12 engine (2 x 3L VR6 joined at the crank each with its twin stroll turbochrger) delivers 600hp and 664lb-ft of torque with a top speed of 184mph. 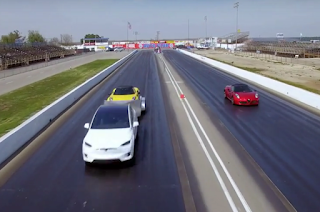 While the Model X P90D's all wheel electric drive trains can release 532hp but deliver a higher torque of 713lb-ft with a top speed of 155mhp. 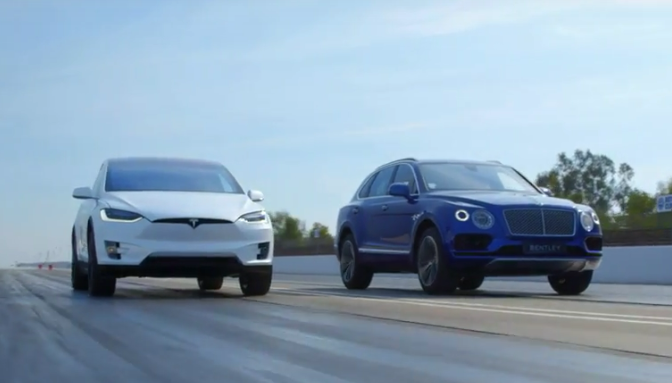 And yet, the Model X ends up claiming the quickest SUV spot thanks to its instant torque with 0-60mph in 3.2 seconds versus the Bentayga's 0-60mph in 3.5 seconds. 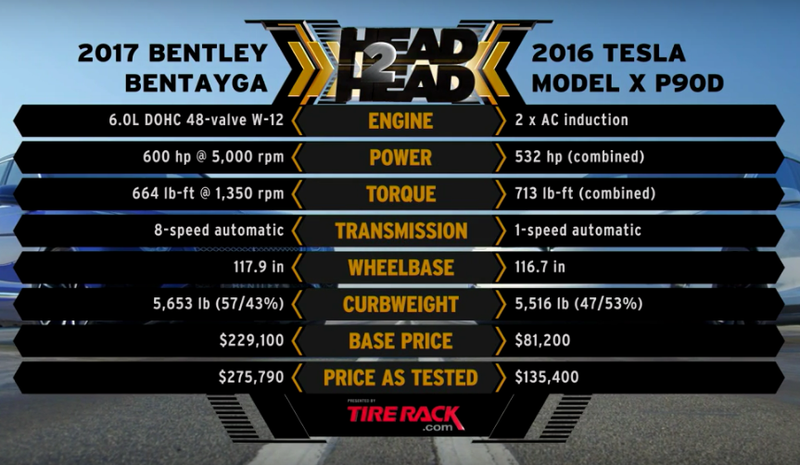 The Bentley Bantayga costs almost twice as much as a Model X. Unfortunately, they both ended up scoring low on interior and exterior by the reviewers. Watch the full video below. Nobody really cares. All we need to do is get from A>B safely, within the speed limit. Sod the boy racers, they do not reflect the needs of 99.999% of drivers, just their own egos.